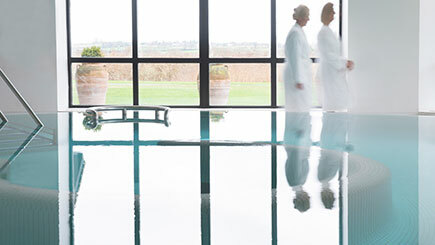 For a truly luxurious escape, head to Champneys Springs, an award-winning rural health farm surrounded by acres of parkland and gently bubbling water walkways. This break for two includes two nights of accommodation in a comfortable en-suite room, plus meals: enjoy dinner on the day of arrival, breakfast, lunch and dinner on the first day and a delicious breakfast and lunch on the day of departure. Both guests will enjoy unlimited access to the spa facilities, which include a whirlpool, swimming pool, steam room and more, and savour a 50 minute lava shell massage and 25 minute head massage each at the hands of a friendly professional. For those passionate about fitness, access to a range of health and wellbeing classes is also available daily.